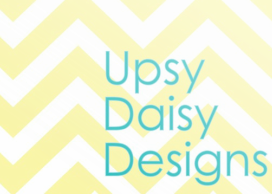 ​It's comfortable to walk, but no flowers grow"
Welcome to Upsy Daisy Designs! Upsy Daisy specializes in unique, fresh, and fabulous, yet affordable floral designs for weddings, special occasions, and corporate events. From contemporary to classic styles, we make your vision become a reality. Our objective is to develop close relationships, understand the ambiance of each event, and exceed expectations. We look forward to making your special day shine bright as a daisy!